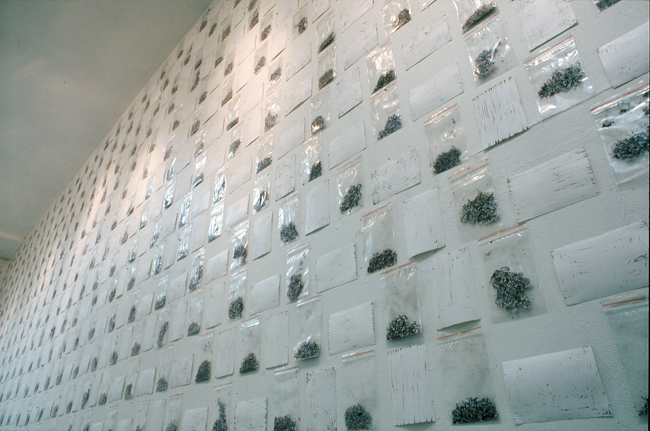 The installation consists of approximately 1000 10x15 cm-sized photographs. 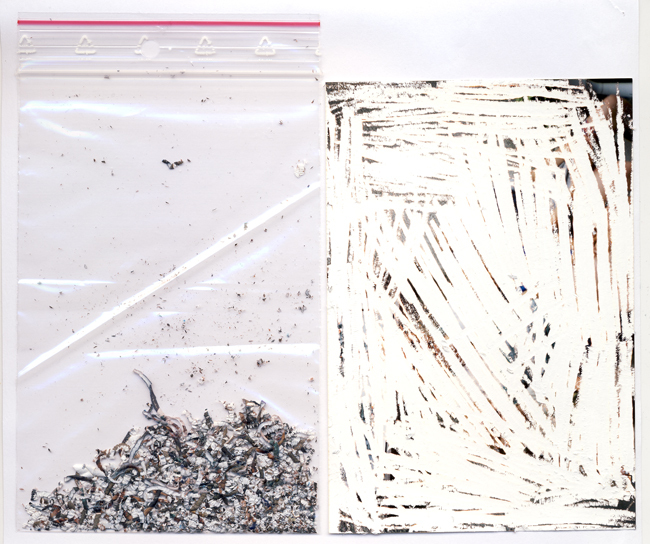 The photo-emulsion from each photograph was scraped off and placed in a transparent plastic bag next to it. The images originally showed snapshots of common situations that document everyday life. No caption was provided, but remains of photography were visible in some of the pictures. All my work is a result of the absorbed reality I perceive in my life. In this way, it naturally becomes a perception of my reality. But what’s private and very personal is well camouflaged; its content is conceptualized and manifested through various forms. But maybe I am the only one who sees my creative work in this way. 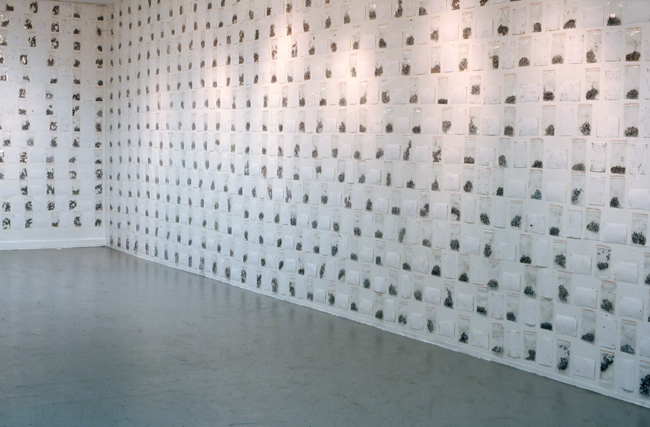 This installation was actually done at a time when I could not work with any major art projects because of the lack of time and money, but mainly because of the lack of space. Anyway for most artists, situations are never meaningless. The meaning “is there”; an artist must simply decode it and express through artwork , then the situation becomes meaningful and gives value and experience . From this starting point, the work’s obsessive action of scraping off the photo emulsion has become the installation. Situations, places, family, friends, colleagues and random people captured in the images were removed. This action of removal is essential in the work and I hope that these "anti-Photographs" tell a story by themselves. Photography in Polish is Zdjęcie. Zdjęcie means to take off or remove. What does photography “take off ” in Poland and in the Polish language? A national language idiosyncrasy or perhaps a revealing oddity . The invitation to the exhibition contained a text. The text was in a small plastic bag, and was a kind of poetic analysis of potential readings of the installation.